You probably already know it was announced. SDCC: Next DC Animated Films announced. I am glad Bruce makes an appearance, too. His dialogue with Constantine should be good. Last edited by MaxSchreck on Jul 26th, 2016, 5:05 am, edited 1 time in total. I like Zatanna's design, she looks a little bit gothic/punk-rocky. 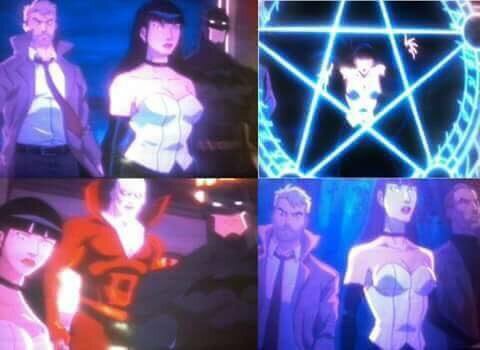 I see Constantine, Deadman, an aged-up Zatanna, but who's that other guy (bottom right)? No word yet on who's voicing for Swamp Thing. *crosses fingers* Please be good. Please make a ton of $$$. Are these films leading to a Trinity War/Forever Evil movie? Just one question: Where is Doctor Fate? You'd think he'd be all over this.